The i-SITE Dunedin Visitor Centre is open 365 days a year. We provide extensive local and national information as well as a booking service for our visitors and residents. We can send you information and brochures and answer any queries you have. We try to respond within 48 hours. We can book your accommodation, travel, activities and tours for Dunedin and anywhere else in New Zealand prior to your arrival to Dunedin. This is particularly useful if you have several bookings to make or require accommodation during a peak period. We do not add booking fees. We accept Visa and MasterCard payments for bookings. 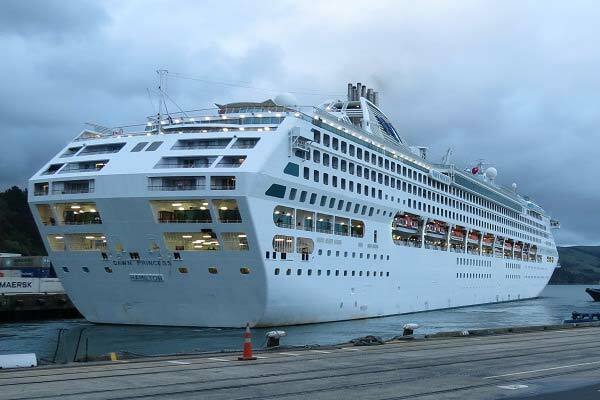 When you arrive in Dunedin, visit us first and we will arrange all your accommodation, tour and sightseeing bookings in Dunedin and Coastal Otago for no extra charge. The i-SITE Visitor Centre has all the convenience of a one-stop shop. During our busiest period (December to February) we will open until 6pm when demand arises. Staff from the local i-SITE Visitor Centre are available at the wharf to greet passengers. The onsite container shop is set up to provide all the services we have at the centre in town. Located within the Dunedin i-SITE Visitor Centre is the Department of Conservation (DOC). Come in to book your huts on the Great Walks, purchase topographical maps and get great advice on all the walks you can do on DOC land. We have an extensive range of track, walking and road maps which includes detailed information on the Dunedin and Coastal Otago Walks, the Central Otago Rail Trail, the Southern Scenic Route, Fiordland National Park, Stewart Island and much more! 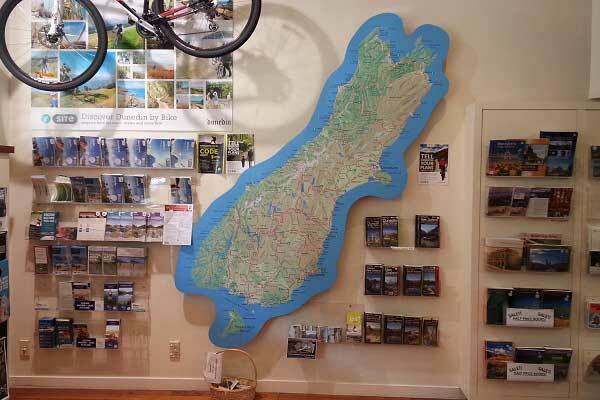 Peruse our extensive range of brochures, posters, maps and other information about all regions of New Zealand. 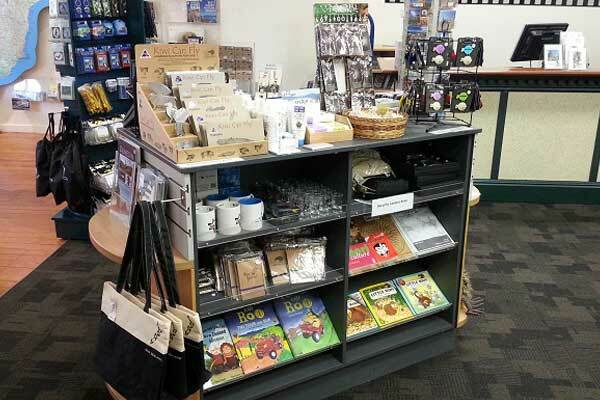 We have a range of unusual and original Dunedin & New Zealand souvenirs, from stamps and postcards, to books and mementos.